Over the past two weeks I have learned that family has taken on a whole new meaning. There is the family that you are born into. There is family that you marry into. There are friends that become family. There are co-workers who become family. There is a church family that you join into. The later three of these have been super prominent in my life lately. Friends, co-workers, and our church family have all united and rallied around us in our time of need more than I could have ever imagine. So many people have opened their hearts to us, given their time to us, and put their lives on hold for us. One of my major concerns after the stroke was how is our household going to operate? For the first time in my entire life I am learning to take help from others. I am okay with meals being dropped off. I am okay with helpers around the house keeping my kids entertained. I am okay with coloring books, snacks, and books being dropped off by co-workers. I am okay with help around the house. I am okay with all of this because I know this is the cycle of life. I can’t do it all. I can’t get better if I don’t let others help. Through this whole process I am growing. Today I need the help, but tomorrow someone else will and I know that I will be there for them in their time of need. 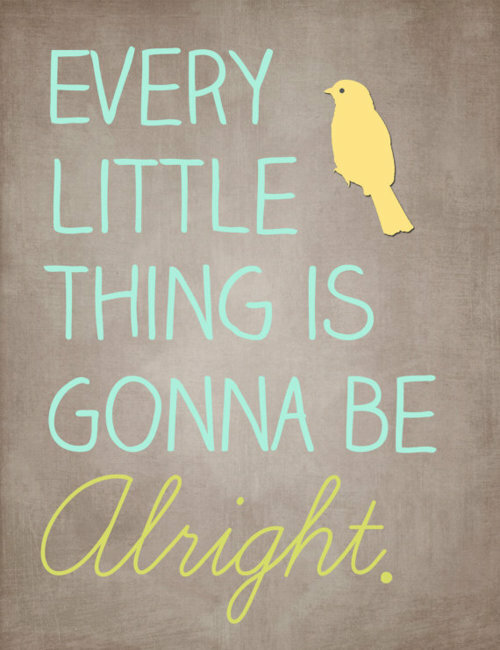 Everything is going to be alright, and I am one lucky gal! unfortunately I´ve been to busy to read all the blogpost of the blogs I follow. So I only found out today that you had a stroke. And what blessing that you are already so well again ! And how blessed you are to have so many people around to support you in your situation ! And how grateful I am to have the privilege to learn about your life ! Thank you for being so wonderful to write about even this probably frightening time in your life. May all the blessings of the Lord be with you and heal you and help you and strengthen you !